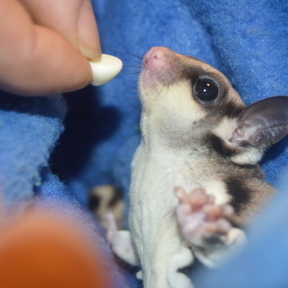 Here at Sugar Glider Joy we focus on the safety of all sugar gliders. We feel like fleece only fabrics inside the cage are the safest for most gliders. Fleece has the ability to wick moisture away from the glider, while the texture will aid in helping to keep the gliders fur clean. Since it is not woven, it doesn't fray. We do recommend checking all items inside the cage as frequently as possible for wear and holes gliders might make. Removing any items as soon as possible that do show wear or holes. We do offer products for outside the cage use that include cotton blends and other woven fabrics. We do line these items where the gliders will be with fleece. Please check these items with each use for any wear and holes, and not use if either are present. Your gliders safety is very dependent on you!!! Most items can be washed in a washer, we highly recommend air drying or the coolest setting on your dryer for longest life. Most of our products are made to your order, while most products do go out sooner, please allow up to 2 weeks for processing? Thanks so much for visiting our online store. 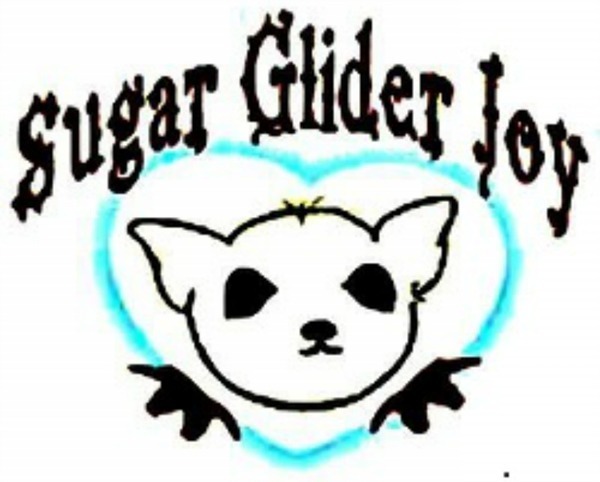 Here at Sugar Glider Joy, we strive to make the safest and best quality products, that are fun, functional and affordable. With over 25 years commercial sewing experience we can offer you superior quality without compromising safety. Many of our products are designed exclusively by us to ensure hidden seams, minimal exposed thread, and breathable fabrics that do not fray. We offer custom services and wholesale to breeders and retailers. Our team is excited to provide you with an impeccable online shopping experience and remains available to assist at any time. If you have questions, comments or concerns about your order or the content found within this website, please feel free to contact us via telephone or email and one of our experienced team members will get back to you right away. Again, thanks for visiting our store and we look forward to serving you in the future.